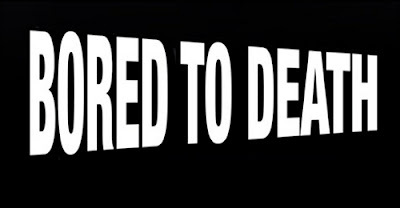 Home » Television » HBO orders second season of BORED TO DEATH. HBO orders second season of BORED TO DEATH. HBO has ordered a second season of BORED TO DEATH, according to Michael Lombardo, president, Programming Group and West Coast Operations, HBO. In case you have not seen it, BTD stars Jason Schwartzman as Jonathan Ames (a fictionized version of the show’s creator of the same name)as well as Ted Danson (as magazine pubisher George Christopher, Jonathan’s boss) and Zach Galifianakis (Ray Hueston, Jonathan’s confidant and slacker buddy). Ted Danson is fantastic in this and should snag an Emmy nomination. He is the reason I have continued to watch BTD. There is much to like about the show, but it plays a little too much like Woody Allen at times. Clearly that works for many because the pilot has been seen by over four million people, but I get a little tired of it. The fourth episode, of the eight episode first season, airs on Sunday.